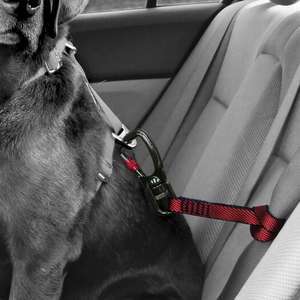 The Kurgo Standard Seatbelt Tether Car Restraint ensures your dog travels safely in any car. 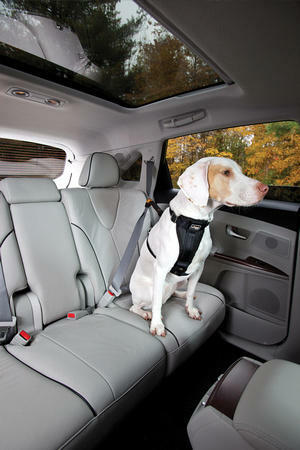 With the Kurgo Standard Seatbelt Tether you now have the peace of mind that you and your pup are travelling safely. 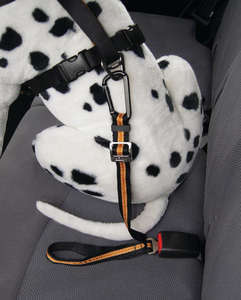 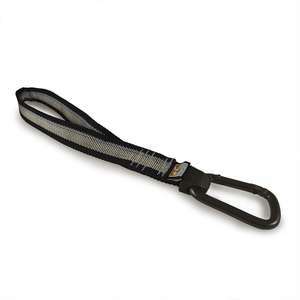 Simply thread the seatbelt through the loop of the tether and attach the sturdy carabiner to the dog harness and you are ready to go. 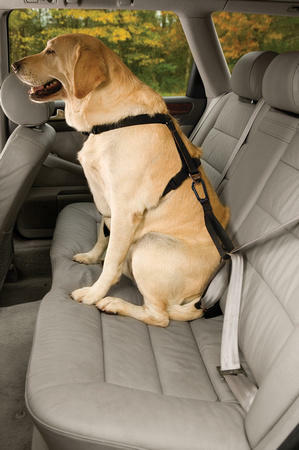 More than one car… Maybe you would like more than one seatbelt loop. The Kurgo Tru-Fit Smart Harness already comes with one Standard Seatbelt Tether attach your dog to your seatbelts. However after a number of requests Kurgo have added the option to buy a spare in the event you have more than one car and would like to keep them in place.